Over the last few years, advances in science have made the kind of experiments once only accessible to PhDs with fancy labs far more attainable. College undergrads are constructing gene drives. Anyone can buy a kit on the internet to concoct their own bioluminescent beer. The German government, it seems, is none too pleased with this development. 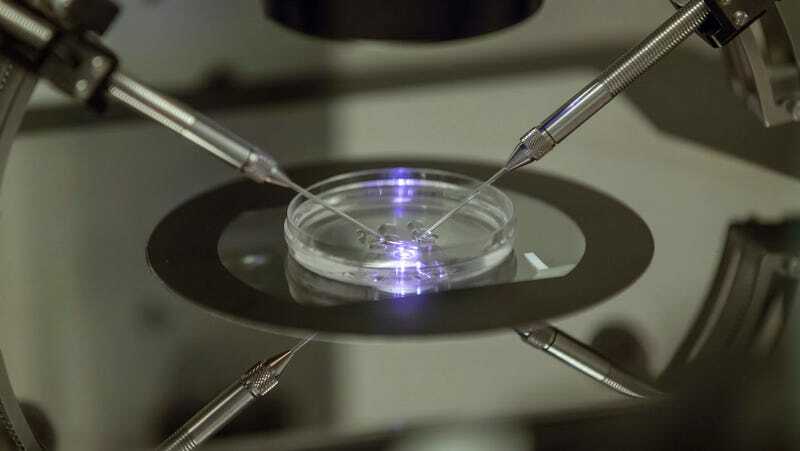 Two weeks ago its consumer protection office issued a statement making clear just how upset it is: Any science enthusiast doing genetic engineering outside of a licensed facility, it wrote, might face a fine of €50,000 or up to three years in prison. The statement sent a wave of shock through the DIY bio community. “This is the first time I’ve ever heard of a government calling out the DIY community specifically,” said Todd Kuiken, a senior research scholar with the Genetic Engineering and Society Center at North Carolina State University. The law behind the German DIY bio crackdown isn’t new. The government was simply reminding so-called biohackers of a long-existing law that forbids genetic engineering experiments outside of laboratories supervised and licensed by the state. But there is concern over how the pledge to enforce those rules may stymy the growth of the DIY science movement, and whether Germany’s statement may inspire other European nations to take a similarly firm stance. “I am worried that the mentality could spread to other countries,” said Josiah Zayner, who runs The Odin, a US company that sells DIY CRISPR kits. Europe is generally much stricter in its regulation of genetic engineering and genetically modified products than the United States. In some countries, it is unclear whether DIY genetic engineering is legal at all. “The statement has to be seen in light of the newly formed DIY biology scene and due to the appearance of low-priced DIY biology kits in online shops,” the BVL told Gizmodo, via email. At the moment, the BVL said it has not used the law to bring any criminal chargers against biohackers, though it may do so in the future. It’s difficult, but not impossible, for an individual in Germany to receive explicit government permission to do genetic engineering experiments outside of a lab. In Ireland, a PhD dropout named Cathal Garvey won such approval from the Irish government back in 2012. The BVL conceded that the new rules will make it virtually impossible for a lone scientist to meet the legal requirements to do genetic engineering. To begin with, any lab needs a project manager qualified by academic credentials such as a master’s degree in science. Labs also require a commissioner for biological safety who is similarly qualified. “This makes genetic engineering experiments rather unattractive for individuals,” the BVL’s spokesman said. Community biology labs, which often receive oversight and advisement from traditional scientists, shouldn’t have an issue getting licensed. But not every DIY scientist lives near or has the resources to join a community lab. If the DIY bio movement is about making science accessible to those outside the Ivory Tower of academia, the German government’s statement represents a serious roadblock. In the US, biohackers operate in more of a regulatory gray area—often regulations do not apply to them simply because no one ever conceived that self-taught scientists would one day pursue sophisticated biology experiments in their garages. But as the DIY community here has grown and sought to not just experiment at home, but sell its creations to the public, it, too, has increasingly faced regulatory run ins. In the US, DIY scientists are subject to the same rules as any other scientists. As in Germany, those regulations can be difficult to comply for an individual to comply with. Germany’s statement does offer one silver lining: it offers the rare clear guidance for what rules biohackers must comply with in order to go about their work legally. The only question now is whether those rules will prevent biohackers from continuing with their work at all.